The custom route to clothes that reflect YOU best while looking fresh and relevant. This worksheet breaks down the steps you need to take to go from lack of confidence and frustration over fashion to loving what you have in your closet. Each step provides a prompt and then gives you space to record your results. You'll be on your way to a fabulous mom wardrobe in no time! This gives you the custom route to clothes that reflect YOU best while looking fresh and relevant. The worksheet breaks down the steps you need to take to go from lack of confidence and frustration over fashion to loving what you have in your closet. Each step provides a prompt and then gives you space to record your results. You'll be on your way to a fabulous mom wardrobe in no time! Our most popular freebie! 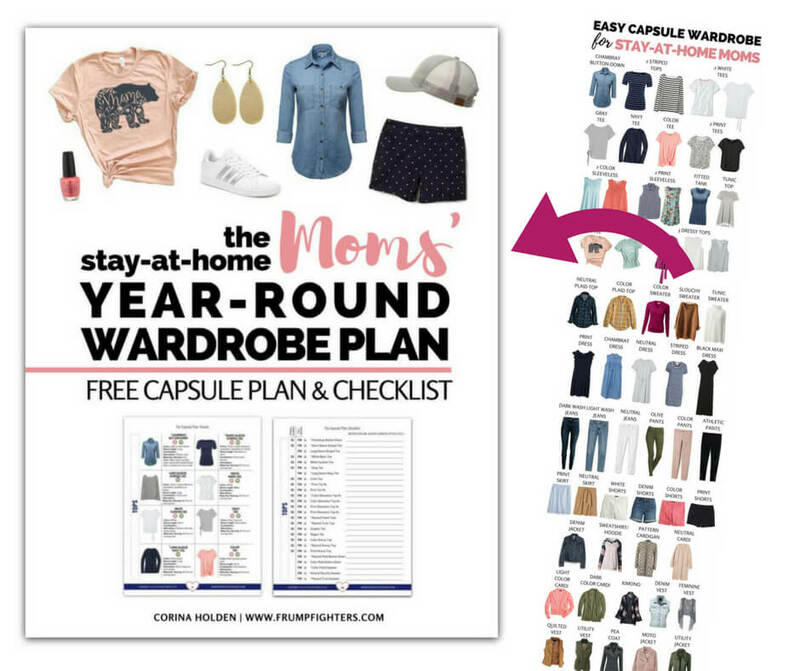 This super comprehensive eBook hands you a clothing list tailored to stay at home moms who want to freshen up their wardrobes with on-trend but comfy styles. I've done all the work for you in this booklet... just apply it to your wardrobe and start feeling confident in your clothes again!